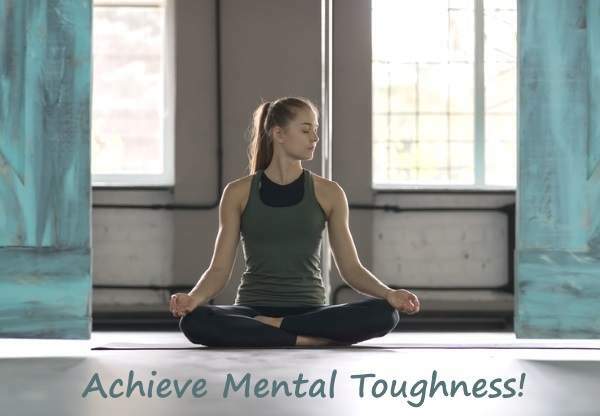 The concept of mental toughness is rarely discussed as a means to happiness and overall contentment with life, yet it is a critical ingredient to both. What is mental toughness and why do we need it? Mental toughness is the ability to persevere and persist when all seems lost and defeat appears to be imminent. It is the ability to rely on previously developed, honed and ingrained habits that will get you through the difficult and uncertain times we all face periodically in life. We need mental toughness in order to take on and overcome some of life's most difficult challenges. While this seems like a tall order, there are strategies and habits that can get us to a more mentally strong place. As with most skills, mental toughness is like a muscle built in small increments and incorporated by suitable daily actions with the ultimate outcome being mental strength and resilience. 1. Start with small daily actions. Unfortunately, we can't merely think our way to mental strength; instead we must build on small daily accomplishments. In order to build that mental muscle we have to push ourselves in a myriad small ways. For example, strive to not miss a daily workout. Similarly, if you only feel like doing 10 pushups, push yourself and do twenty. Endeavor to stick to a planned routine; maintain a deliberate schedule and set up to-do lists. All of these actions are also ways of cultivating self-discipline. 2. Adopt a productive attitude. While we cannot think our way to mental toughness we can get into a productive mindset. A productive mindset puts you in an open frame of mind in order to do what needs to be done. It promotes a 'can do' approach. 3. Be proactive. During those times when we cannot prevent overwhelming circumstances and challenging situations, we are able to control how we allow them to affect us. By choosing our attitude toward what is happening we not only become proactive, we take control . When we have better control of ourselves, we are in more control of the situation. 4. Take responsibility. Take ownership of both your actions and where you find yourself. Once you do, you will be in a position of personal power rather than victimhood. Victimhood immobilizes you whereas personal power emboldens and propels you to take necessary, appropriate action. 5. Accept that life can be difficult. As I discuss in the essential life skill of acceptance, life is not always fair. We often need to come to terms with that over which we have no control or the ability to change. When we accept the premise that life can be difficult, we avoid wasting time bemoaning that which is not, in favor of dealing with that what is. 6. Surround yourself with positive people and positive influences. Strive to be around people who are able to help lift your moods and offer solutions to your predicaments. If you cannot be around positive people, endeavor to read encouraging books about the experiences of those who have managed to overcome great odds. A positive approach is a must for tackling difficult conditions. 7. Give yourself a break. We are often hardest on ourselves. Gettng caught up in self blame and recrimination deprives us of the learning opportunities inherent in all problems. Likewise, it delays the process of working on those problems. Learn to deal with the business at hand. 8. Capitalize upon and savor the moment. Aspire to find meaning even in the most difficult and challenging circumstances. When you focus on what’s in front of you, you are less likely to succumb to stress, anxiety and frustration. It better positions you to affect a positive result. Conversely, running away from, or denying difficulty, serves to ultimately defeat you. 9. Get physical. It's no secret that physical fitness promotes mental toughness and fitness. Exercise is not only vital for maintaining mental fitness and reducing stress, it enhances concentration and improves cognitive function. Scientific research has proven that regular exercise elevates and stabilizes mood, improves sleep patterns, and boosts the overall quality of life. The mentally tough are also physically tough! 10. Let go. Once you've done everything within your power to address a problem or challenge - let go. Have faith that everything will work out as intended. Letting go relieves stress, anxiety and negative anticipation. Ultimately, mentally tough people are equipped with more fortitude, tenacity and courage to handle the difficulties and challenges we all face in life. Fortunately, with a little more daily effort and focus, each of us has the capacity to improve our mental toughness and strength.